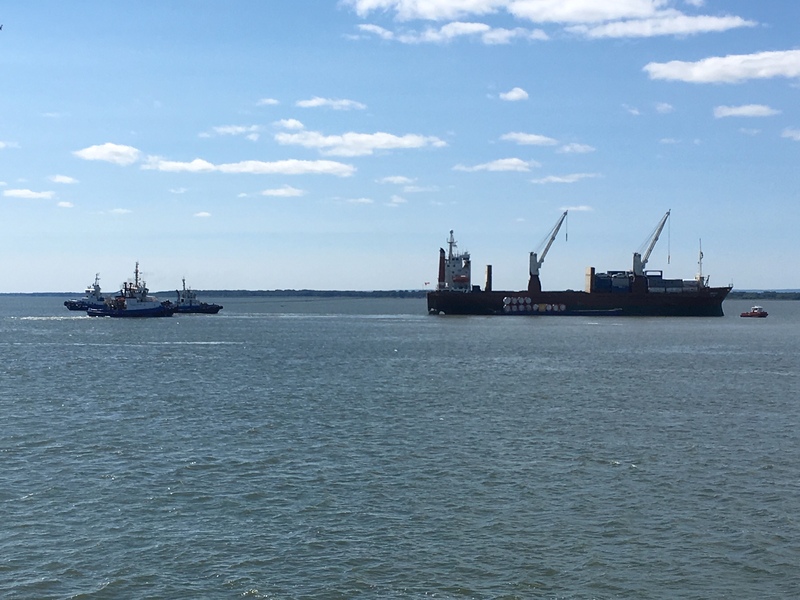 Trois-Rivières, 2018 – On Sunday, August 12, the vessel Umiavut is sailing on the St. Lawrence River toward Salaberry-de-Valleyfield to fill its containers and return to serve the communities of Nunavik. A rudder failure causes it to veer into the muddy shallows of Lake Saint-Pierre, where it remains stuck for five days. NEAS, the owner of the container ship, entrusts Ocean Marine Salvage with the task of refloating its vessel. 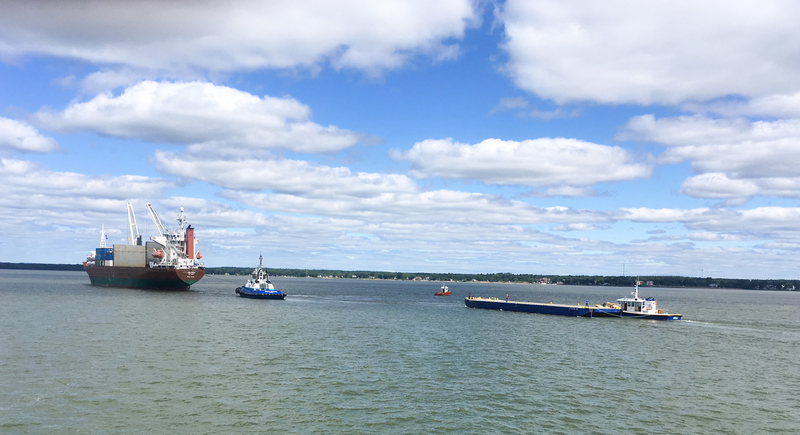 Two tugs heads to the site for a first refloating attempt, which is unsuccessful. The shipowner then lightens the ship by unloading around 100 containers onto its own barges. To ensure the success of the second attempt, a salvage master is brought to the site to coordinate the delicate operation. In the end, the tugs OCEAN INTREPIDE from Montréal, OCEAN CLOVIS T. from Québec and OCEAN BASQUES from Trois-Rivières works on the refloating. 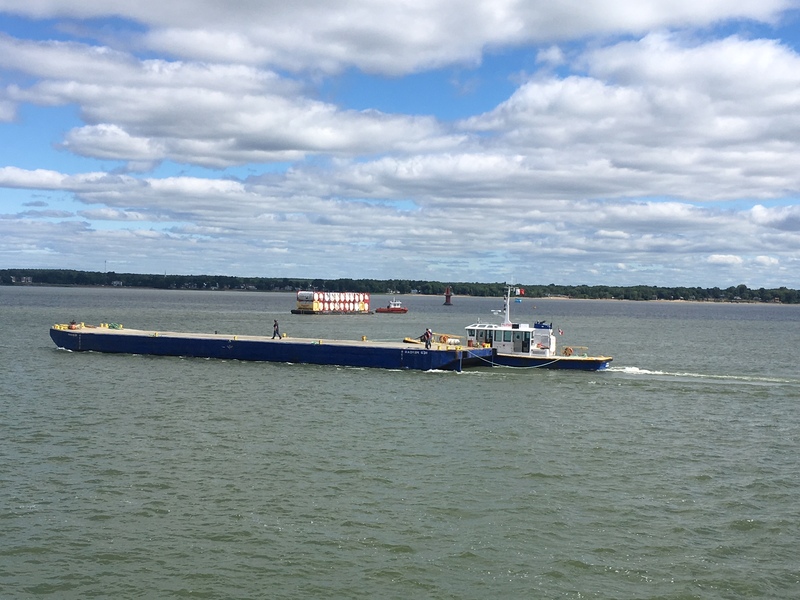 The Radium 631 barge is also used to store the last containers to be unloaded from the vessel. 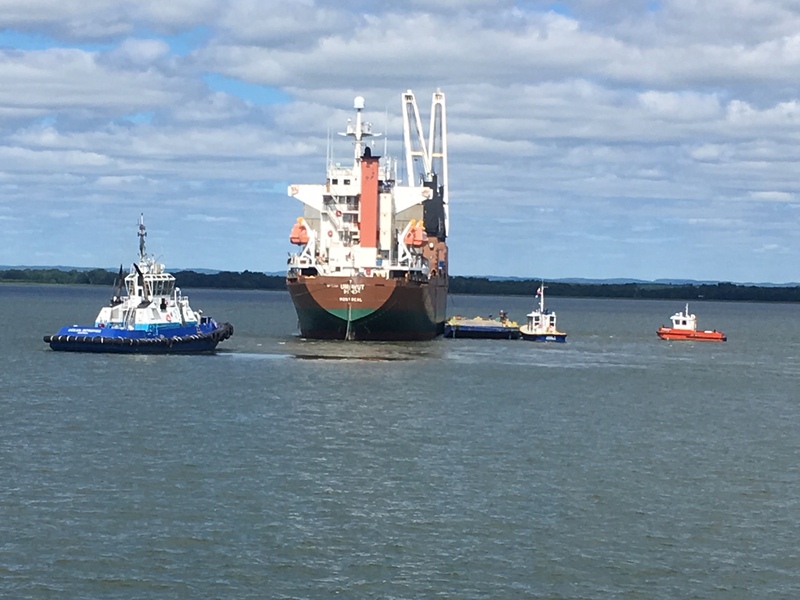 The teams’ remarkable work makes it possible to free the vessel from its unfortunate position on August 16 so it could head to the Port of Trois-Rivières for inspection.